Measure the quantity of a known solution needed to neutralize an acid or base of unknown concentration. Use this information to calculate the unknown concentration. 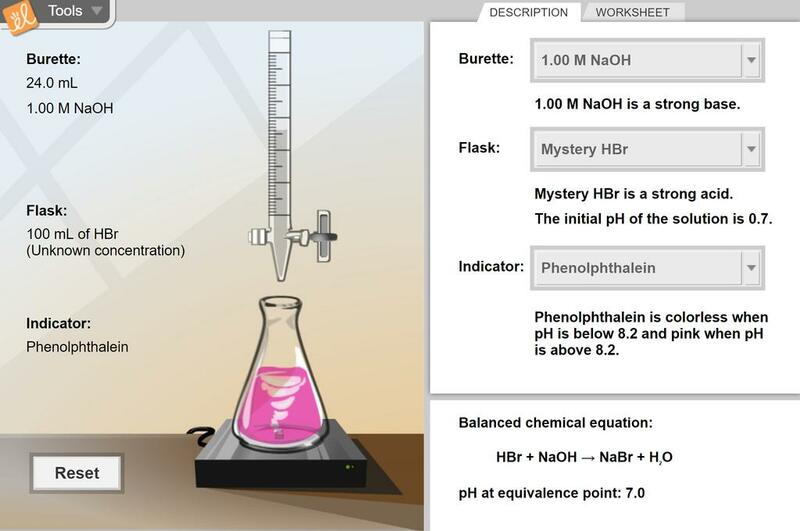 A variety of indicators can be used to show the pH of the solution. I adapted the student worksheets to meet the expectations of the Ontario Curriculum. I removed the titrat... (more)ion curves and set it up as a "discovery" exploration. Students practice a titration before completing the real thing and incorporate stoichiometry for neutralization reactions. Add a salinity and dissolved oxygen test to this titration lab.